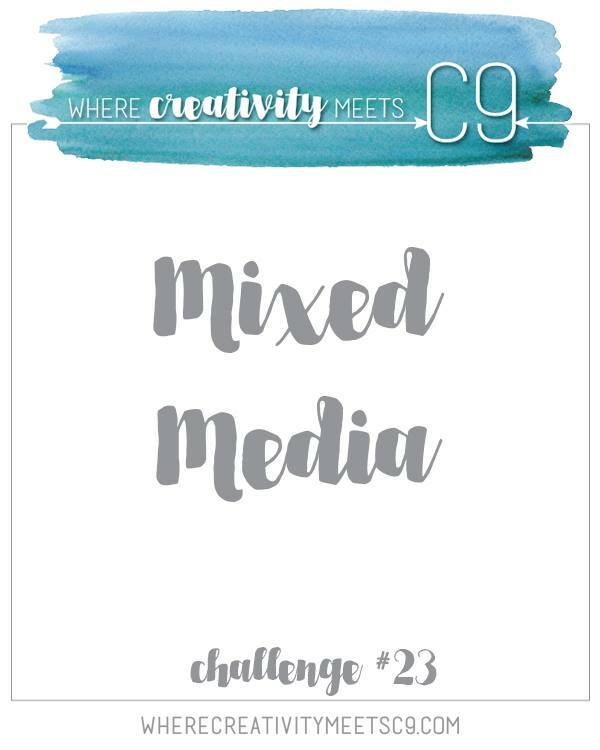 Where Creativity Meets Concord & 9th – Mixed Media! I got use one of the NEW Stamp and Die Sets from this month’s release to make my card! I also dug out some Glitter Paste and used a lot of pink and a little ribbon, now there are a few things I don’t often use! My background is a piece of Iridescent Pink 65lb Card. I used my Palette Knife to add Bo Bunny Sugar Glitter Paste through the Concord & 9th Retro Petals Turnabout Stencil and set it aside to dry. From the Concord & 9th Laurel Frame Photopolymer Stamp Set I stamped the wreath in Jalapeño and Noble Fir and the flowers in Ballet Slippers, Peachy Keen and Bubblegum using my Mini MISTI. They are cut out with the Coordinating Dies. Once the background was dry I added a piece of Stampin’ Up! 1 1/4″ Pink Pirouette Ribbon and adhered it around the back. The background is then added to a card base of Neenah Solar White 110lb Card Stock. To adhere the wreath and flowers I used 3M Foam Tape. Finally, I cut out the hello, also from the Laurel Frames Dies, from more 110lb and used Multi-Matte Medium to add it to the ribbon. The pictures don’t do the Sugar Paste justice, it’s subtle but nice and sparkly!